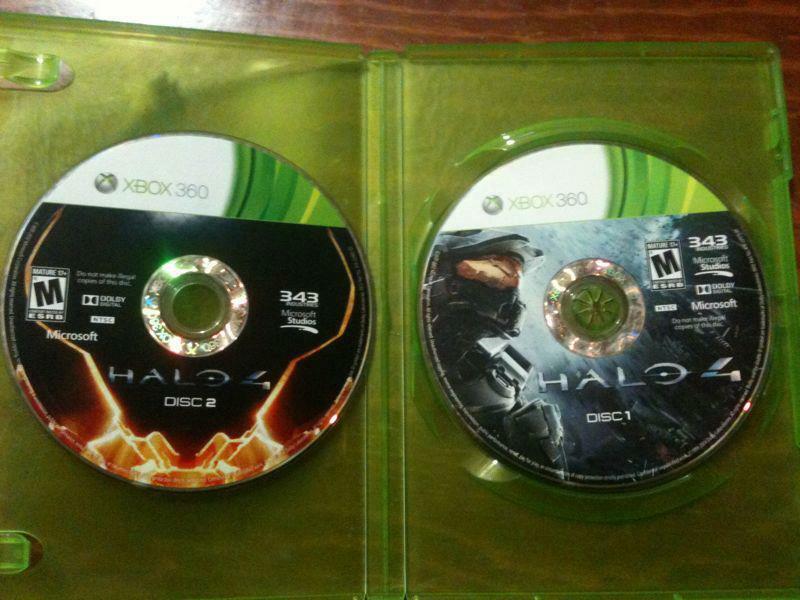 That image of Halo 4's two discs popped up on NeoGAF earlier today. Some in the forum shrugged it off, saying that reviewers must be getting their copies, to which I chuckle heartily. I can't remember the last time, if ever, consumer codes being sent out for review three weeks before release. Please. What really lends credence to this leak hubbub is the fact that a Microsoft spokesperson told Game Informer they were working with law enforcement and Microsoft corporate security to "address the situation." Asked if the game had in fact leaked early, the spokesman did not reply. Meantime, says GI, numerous YouTube videos featuring Halo 4 content have been yanked down. I guess the big actual news here, at least, is that Halo 4 has at least gone to gold master. This will all be a nice warmup for next year, as Grand Theft Auto V nears release, and we get a thousand videos showing discs but no loading screen nor gameplay.